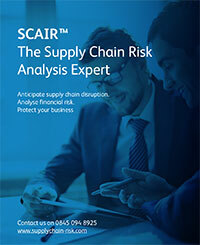 Catherine Geyman, Director, Risk Management, Intersys Ltd and creator of SCAIR® has offered valuable insights in Pink Sheet – a leading pharmaceutical regulatory insights publication. Catherine was interviewed about her views on the current US-China Trade Tariffs and their impact on pharmaceuticals manufacturers. 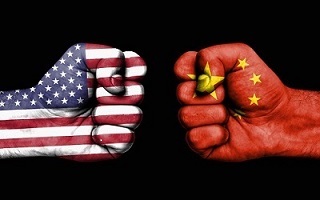 President Trump’s decision to slap 10% US tariffs on goods including some drug products and their ingredients from China has caused major concern for global pharmaceutical manufactures. The fear of the Chinese passing on the increased costs to their network of customers is a very real worry. 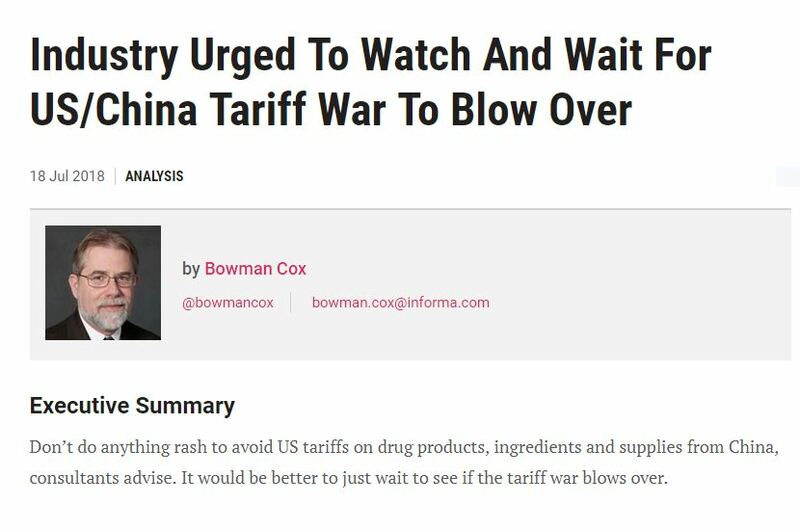 However Catherine predicts that the proposed tariffs are unlikely to be the main cause of US Drug License Holders switching away from their Chinese Supply base, because of the costs involved in switching suppliers. However, when combined with other worries, such as Chinese suppliers failing to achieve appropriate quality standards, a longer term shift away from China could be on the cards. The full story in Pink Sheet is available here.